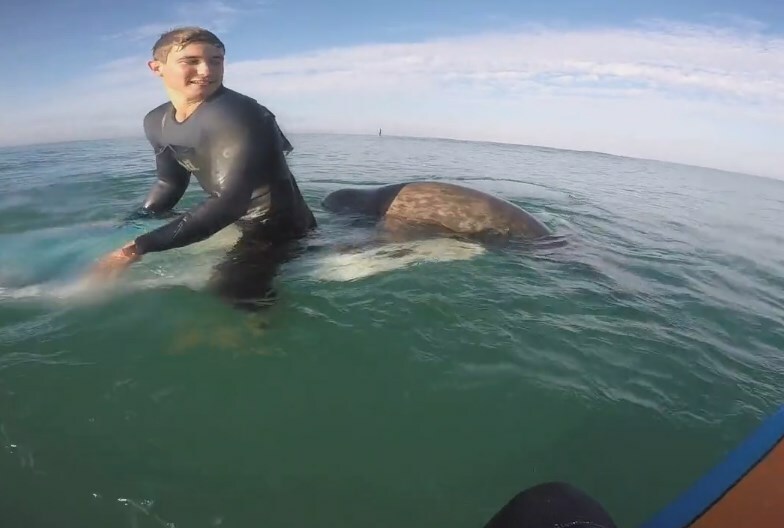 The footage, captured by Yves Courtel - La Clef de la Presqu'ile - using a camera mounted on his surf board, shows the small seal, nicknamed ‘You’, repeatedly approaching him and swimming over his board. "He played with us for the whole morning. He would climb on my board, ask for strokes and push me over. It was a beautiful encounter and a magical moment" Romain Monier wrote online.